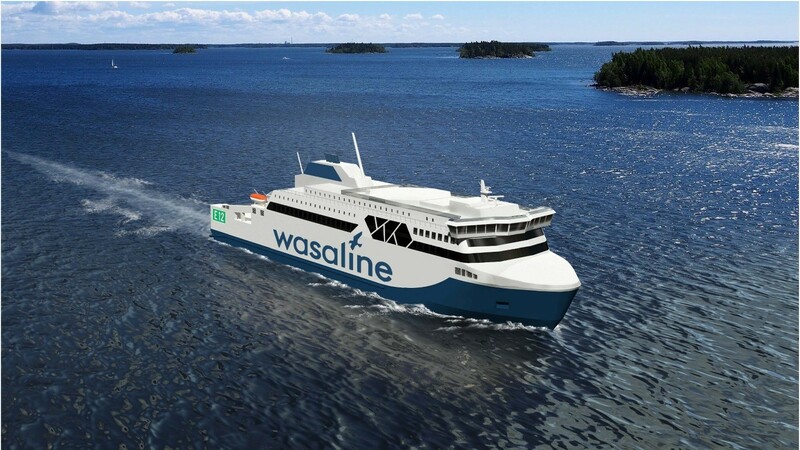 Finnish shipbuilding company Rauma Marine Constructions (RMC), and AS Tallink Grupp, have announced that the construction agreement for the new shuttle ferry, set to operate on the Helsinki–Tallinn route will enter into force today. The parties signed the letter of intent in October 2018. 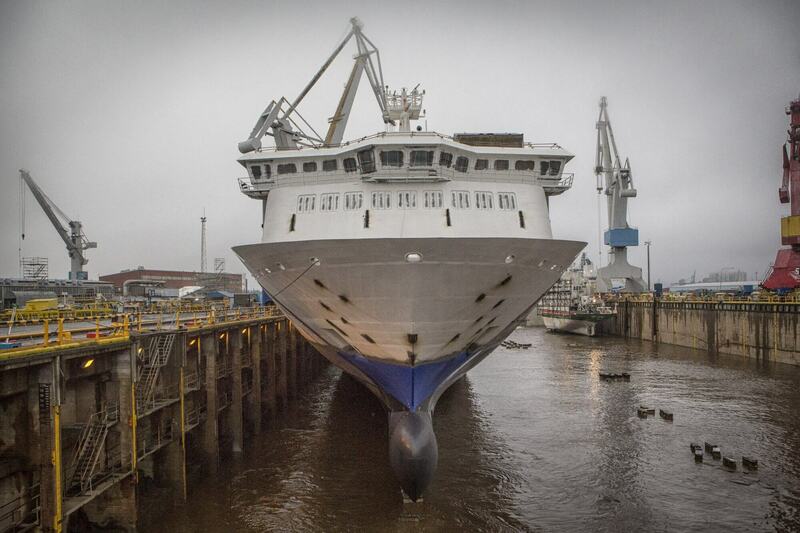 The ferry is the biggest vessel yet to be built by Rauma Marine Constructions, and is valued at about EUR 250 million. The new shuttle ferry will be approximately 212 metres long and have a gross tonnage of approximately 50,000. It will be able to accommodate 2,800 passengers. The ferry will provide over 1,500 man-years of employment for the shipyard. The vessel will utilise the newest technology and innovative solutions, with the aim of building the most environmentally-friendly and energy-efficient vessel possible. This includes machines that will run on a dual fuel and option for a battery solution, with the main source of fuel being low-emission liquefied natural gas (LNG). “We are very pleased to have secured this order. The modern and environmentally-friendly vessel supports RMC’s aim to be a leading car and passenger ferry provider. The vessel is set to be delivered to the customer in the beginning of 2022, which means we have work secured at the shipyard for a long time ahead. We are also excited to see Tallink returning to Rauma, where four ferries for Tallink have been built previously”, says Jyrki Heinimaa, CEO of Rauma Marine Constructions. Compared to Tallink’s newest shuttle ferry Megastar, which also operates between Helsinki and Tallinn, the new ferry will have an increased passenger area with more seating, as well as more crew cabins. From a technical standpoint, the ferry will have powerful shore connection equipment and will also be equipped with LNG fuel tanks approximately one third bigger than Megastar. Furthermore, the new enhanced design will allow the ferry’s CO2 emissions to be reduced by 10 per cent. “We are pleased to have signed the construction contract with RMC, thus supporting also our regional economies due to the construction taking place in Rauma, and we look forward to starting the shipbuilding process. 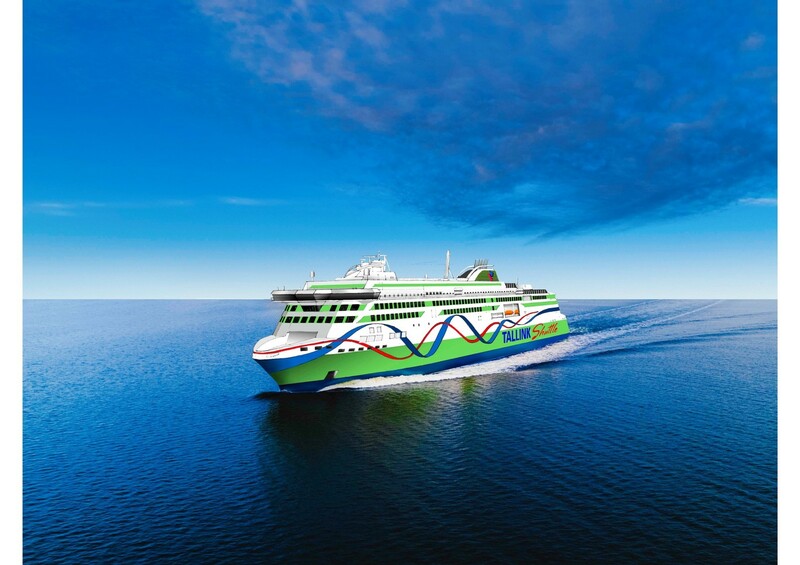 We are confident the new vessel will enhance our operations on the important Tallinn–Helsinki route even further,” Paavo Nõgene, CEO of AS Tallink Grupp said. Rauma Marine Constructions is currently also working on another car and passenger ferry. In January, the shipbuilding company signed a construction agreement for a car and passenger ferry servicing the Vaasa–Umeå route, together with Kvarken Link. Due to the growing number of orders, RMC and its network partners need to increase the workforce at the shipyard, with additional recruitments taking place on a continuous basis. Rauma Marine Constructions (RMC) is a wholly Finnish-owned shipbuilding company formed in the summer of 2014 in Rauma. RMC specialises in building and servicing multipurpose icebreakers, car and passenger ferries and naval vessels. More information is available at www.rmcfinland.fi. Rauma Marine Constructions (RMC) and the Finnish Defence Forces Logistics Command have signed a letter of intent on the main principles and conditions for the construction of four corvettes for the Finnish Navy. Jyrki Heinimaa, CEO, RMC, expressed satisfaction regarding the progress, while emphasizing the capacity of Rauma shipyard to construct both commercial vessels, and corvettes for the Finnish Defence Forces. The Finnish Defence Forces announced the agreement last week and the signing took place early this week, November 2018. The parties have agreed on the price of the vessels, the timetable for the delivery, allocation of responsibilities and issues concerning risk management, amongst other things. Jyrki Heinimaa, CEO, RMC, is pleased that the letter of intent has been signed, as it represents a long-awaited decision, following detailed negotiations between the parties. In 2017, Rauma Marine Constructions received authorization from the Finnish Defence Forces Logistics Command to execute a significant share of the basic design of the multi-function corvettes. The rest of the design will be implemented after the vessels’ main equipment has been tendered and selected. The contract for the construction of the vessels will be signed in early 2019. In further news, in October, RMC and Tallink also announced a letter of intent for a new high-speed car and passenger ferry between Helsinki and Tallinn. According to Heinimaa, the shipyard is equipped to fit several different projects simultaneously. “Tallink’s car and passenger ship will be delivered at the end of 2021, and the construction of the corvettes will begin in 2020 and last until 2027. The commercial vessels and the corvettes are built alongside one another, but kept completely separate, not least for security reasons,” Heinimaa emphasizes. Rauma Marine Constructions is currently seeking more employees, as the company expects to grow significantly in the coming years due to its new orders. The company aims to become a world-leading shipyard. AS Tallink Grupp and Finnish shipbuilding company Rauma Marine Constructions Oy (RMC) have signed a letter of intent to build an environmentally friendly car and passenger ferry for the scheduled service between Tallinn and Helsinki. The ship, with a value of approximately 250 million euros, will be built at Rauma shipyard. Along with signing the letter of intent, RMC will also strengthen its organization and recruit more talent. The planning of the Tallink Shuttle ship, which will operate on the Helsinki-Tallinn route, will start in spring 2019 and building will commence in 2020. The vessel will be delivered to Tallink at the end of 2021. The new vessel is the biggest newbuild order as of yet for RMC. The passenger capacity of the ship will be 2,800 people. The newest technology and innovative solutions will be utilized in the design phase to ensure that the vessel will be as energy-efficient and environmentally friendly as possible. The letter of intent is significant for RMC, and recruitment of more employees is already underway, says Jyrki Heinimaa, CEO, Rauma Marine Constructions. Rauma shipyard has built a total of four vessels for Tallink Grupp over the years. In addition, two more vessels have been designed at the shipyard. Baltic Queen, the previous vessel built at Rauma shipyard, was completed in 2009 and operates nowadays on the Tallinn-Stockholm route. “We are very pleased to announce that Rauma shipyard’s shipbuilding tradition, together with Tallink, will continue with RMC’s building of a new Shuttle ship. It is a great honor to be signing a letter of intent with our old friends at Tallink who have always shown appreciation for the shipbuilding expertise in Rauma. This is an opportunity for us to utilize our longstanding experience and to help steer the ship traffic between Finland and Estonia in a more environmentally friendly direction,” says Heinimaa. During the upcoming months, Tallink Grupp and RMC will work on finalizing the contract and financial arrangements. RMC’s previous car and passenger ferry m/s Hammershus, built for Danish ferry operator Molslinjen, began operating in Denmark in September. The company is also cooperating with the shipyard in Turku on building ship blocks for a large cruise ship. Rauma Marine Constructions (RMC) is a wholly Finnish-owned shipbuilding company formed in summer 2014 in Rauma. RMC specializes in building and servicing multipurpose icebreakers, car and passenger ferries and naval vessels. More information available at www.rmcfinland.fi. Cooperation between ship building company Rauma Marine Constructions (RMC) and Meyer Turku, at Turku shipyard, is expanding with the addition of a new ship block order. The newest order brings the total of ship blocks built at Rauma shipyard to eight. The additional order comes at a good time for RMC, whose first newbuild, a car and passenger ferry ordered by Molslinjen, began operating in Denmark during September. At the beginning of the summer, the cooperation between RMC and Meyer Turku was announced with the news that Meyer Turku had placed an order from RMC for two blocks for the hull of the cruise ship Costa Smeralda. The cooperation has since been extended, with RMC and Meyer having signed additional contracts for multiple additional blocks. In addition to the two blocks that have already been delivered to Meyer, two blocks are currently being built at the shipyard and contracts for four new blocks have been signed. “The additional orders are an indication of our successful cooperation with Meyer. The building of these ship blocks will continue late into spring 2019. The cooperation ensures the base load of the ship block factory and also provides valuable experience for future projects,” says Jyrki Heinimaa, CEO, Rauma Marine Constructions. The Costa Smeralda cruise ship will be delivered by Meyer to the owner in autumn 2019. 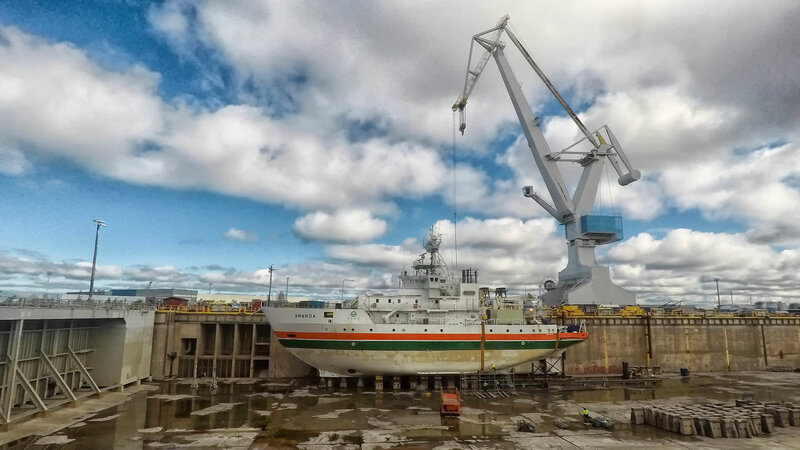 Meyer’s ship block order comes at a good time for RMC, with the recent general overhaul of Finnish Environment Institute’s (SYKE) research vessel Aranda, and RMC’s first newbuilding vessel having been completed at the end of the summer. The newbuild, a car and passenger ferry named Hammershus, and built for Molslinjen, began operating in Denmark in September. Hammershus bears a specific significance for RMC, it being the company’s first newbuild vessel. Over 250 workers were involved in the building process of the 158-meter long and 23.5-meter wide ferry and its impact on employment has totaled around 1,000 person-years. The vessel’s passenger capacity is 720 people, along with 20 crew members. The car and passenger ferry can travel up to 17.7 knots. It runs on sulphur-free fuel and consumes less fuel compared to previous vessels. This was made possible by the fuel efficient Wärtsilä main engines, as well as the shape of the hull. In addition, the vessel complies with all current and upcoming environmental regulations. Finnish shipbuilding company, Rauma Marine Constructions (RMC), has today launched its first newbuilding order; a car and passenger ferry for Danish shipping company, Molslinjen. The 158-meter ferry was launched from the Rauma shipyard and is scheduled for delivery in June 2018. Rauma Marine Constructions’ first shipbuilding order, a 158-meter car and passenger ferry for Danish ferry operator Molslinjen, was launched today from the Rauma shipyard. In March 2017, the construction of the ship started, ahead of schedule, and construction has progressed as planned. “This is the launch of RMC’s first newbuilding order, and a significant milestone in our company’s history. It is with great pride that we launch the vessel today,” states Jyrki Heinimaa, CEO, Rauma Marine Constructions. The exterior of the ferry has already been completed. After the launch, the ship will be relocated to a dry-dock for equipment assembly and interior work, followed by trial runs and commissioning. The ship will be delivered to Molslinjen by the end of June 2018. The car and passenger ferry will start operating during autumn 2018. The ship will mostly operate in Denmark and has been designed for use mainly on the Køge (Sjælland) – Rønne (Bornholm) route. However, during summer, it will also operate between Rønne and Sassnitz, Germany. The ship’s passenger capacity is over 700 people, and it will be able to accommodate around 90 freight trailers. Though the cargo will mainly consist of trucks, the ship can also transport hundreds of passenger cars, if needed. The ship will be built entirely in Rauma and will have a positive impact on employment totaling around 1,000 person-years. During next spring, there will be approximately 300 employees working on the ship’s equipment outfitting. Rauma Marine Constructions is very satisfied with how the project has progressed. “Production has been excellent throughout: the ship will be delivered according to schedule and cooperation with Molslinjen has been impeccable,” says Timo Kaskinen, VP, Projects, Rauma Marine Constructions. 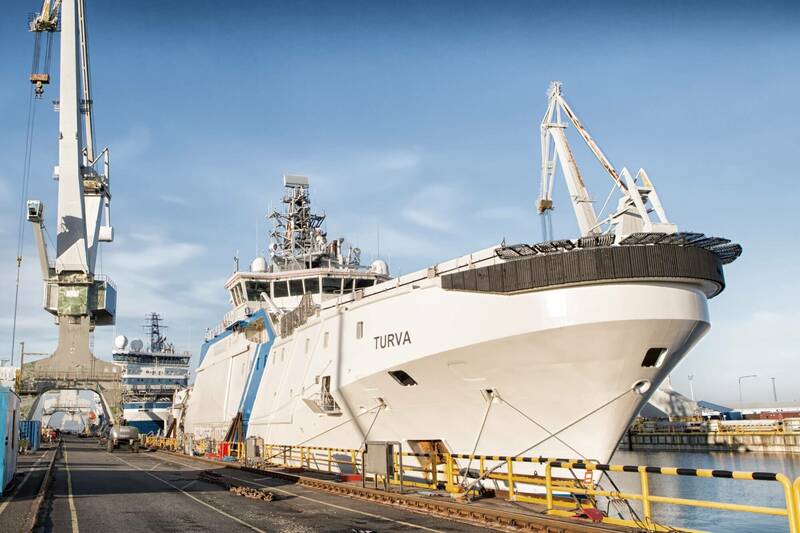 In addition to the launch of the car and passenger ferry for Molslinjen, the Finnish Environment Institute’s (SYKE) marine research vessel ‘Aranda’ was also launched at the Rauma shipyard. The repairs, which involved a seven-meter extension to the vessel, have been completed and the vessel will enter the final outfitting phase next. The purpose of Aranda’s refurbishment and modernisation is to ensure the ship’s ability to function until the 2030s, while reducing its environmental impact and operating costs. The additional meters will not only facilitate the expansion of research and laboratory spaces, but also the transition to a completely electronic power transmission in accordance with new research requirements. The vessel will be delivered back to SYKE according to schedule during spring 2018. Shipbuilding company Rauma Marine Constructions (RMC) has appointed the chairman of the board, Jyrki Heinimaa, to be the new Chief Executive Officer (CEO) from 01.12.2017 onwards. In addition to Heinimaa, RMC has also elected a new COO, chairman of the board and member of the board. Organizational changes are a part of the company’s new growth phase, with ambitions that include the deal for the Squadron 2020-project, business growth, the strengthening of RMC’s unique know-how, as well as continued development of the network-based business model. Most recently, Heinimaa was the Group CEO of the Hollming group of companies. Prior to this, Heinimaa’s career includes many years in the shipbuilding industry, holding management positions in ship finance, in particular. As a part of the larger organizational change, there will be a number of other new names in RMC’s management. Timo Suistio, CEO, BMH Technology, has been appointed to the new COO position. Suistio’s strong project management skills will support the company’s direction towards larger and more challenging ship projects. Current member of the board and CEO of Vientistrategit Oy, Mikko Niini, will become the new chairman of the board. Furthermore, the board has appointed a new member, Pekka Vataja, previously the director of Danske Bank’s large companies unit, and one of the founding partners of Sagacitas Finance Partners. Rauma Marine Construction’s current CEO, Heikki Pöntynen, will leave the company. “Having overcome the shipbuilding crisis and successfully managed the start of a new company, I now feel it is time to leave my position as CEO, and leave the strong company that RMC has now become. I will be following RMC’s future development with great interest and excitement,” says Pöntynen. Heinimaa thanks Pöntynen for his determined and successful managing of the business. “During his time as CEO, the company has grown and developed into a shipbuilding company that is now aiming to secure a billion-euro shipbuilding contract with the Finnish Defence Forces,” says Heinimaa. In other news, the construction of the car and passenger ferry for Danish shipping company, Molslinjen A/S, is proceeding as planned at Rauma Marine Constructions. The 158-meter ferry will be launched at the shipyard before Christmas. The refurbishment and modernization of the Finnish Environment Institute’s (SYKE) marine research vessel, ‘Aranda’, is also underway at the shipyard. The repairs will involve a seven-meter extension to the vessel, as well as the implementation of an all-electric power transmission, which will enable the underwater noise emitted by the ship to be significantly reduced. Seeing the letter of intent is realized, Rauma-based shipbuilding company Rauma Marine Constructions will build four vessels capable of operating in ice conditions for the Finnish Defence Forces. The Logistics Command of the Finnish Defence Forces will look into the prospects of Finnish-owned shipyard company Rauma Marine Constructions acting as the ship building partner for the Squadron 2020 project. The Logistics Command will ensure in cooperation with RMC it’s shipyard capacity, security of supply and other building prerequisites for combat vessels. More than 80 domestic and international suppliers responded to the request for information regarding Squadron 2020. “On behalf of the company, I am elated and proud of the confidence that the Finnish Defence Forces have entrusted in us with the Squadron 2020 project. We will do everything in our power to make sure this letter of intent eventually results in the building of these naval vessels at the Rauma ship yard”, says Heikki Pöntynen, CEO of RMC. The Finnish Border Guard’s OPV Turva was docked at RMC’s drydock between 04 – 15.04.2016. Docking works comprised of classification society inspections and annual docking service works. The project was completed as planned on schedule and OPV Turva was put back on service on 16.04.2016. Rauma Marine Constructions Oy (RMC), a pioneer in arctic shipbuilding, will receive a major infusion of capital for further growth from three actors Finnish Industry Investment Ltd, Finda and a fund managed by Taaleritehdas. RMC’s strengthened position is yet another indication of the recovery of the Finnish shipbuilding industry. Rauma Marine Constructions Oy (RMC) is a Finnish-owned shipyard with leading-edge expertise and technology in this field. Strategically, RMC specializes in the construction and maintenance of multi-purpose icebreakers, car ferries and naval vessels. The infusion of capital and the involvement of major Finnish investors will contribute to the success and viability of the Finnish maritime cluster, and at the same time help keep the maritime industry’s value chain intact. Finnish Industry Investment Ltd, the fund managed by Taaleritehdas and Finda Oy participated in an investment round which will increase RMC’s share capital to nearly EUR 25 million. One of the existing owners, Kasvattajarahasto, managed by Aboa Venture Management, will also take part in the share issue. The strengthened capital position allows RMC to carry out major shipbuilding projects. ”The Finnish maritime industry is on the rise. We want to be involved in promoting the international growth of a company whose Arctic expertise is of the highest standard in the world,” says Investment Director Jussi Hattula of Finnish Industry Investment Ltd.
”The Finnish maritime industry represents the kind of expertise of high added value that our economy sorely needs. Together with our customers, we want to channel Finnish capital into this type of project. Taaleritehdas is pleased to be involved in strengthening the domestic ownership base which, in turn, will create jobs in Finland,” explains Chief Executive Officer Juhani Elomaa of Taaleritehdas. “It’s great to witness the development of world-class expertise in one’s own country. We’re making a major investment in this fine growth company and its future with a view to potential listing in a few years’ time. Finda will be able to make its expertise in this area available to RMC,” says Finda’s Chief Executive Officer Jarmo Leino. One of the objectives established by the Marine Industry 2020 working party appointed by the Ministry of Employment and the Economy is to develop Finland into a major global player in the marine industry. In Finland, the functions and services related to the Arctic marine industry are highly integrated and the entire value chain under local control. “We’ll continue to be the number one choice as a supplier of car ferries, ice-breakers, naval vessels and as a partner, and we’ll contribute to the Finnish Arctic expertise on our part. By specializing and investing in skills and technology, Finland will continue to be an important player in the shipbuilding sector,” concludes President and Chief Executive Officer Heikki Pöntynenof RMC. Established in the summer of 2014, Rauma Marine Constructions Oy (RMC) is a Finnish-owned shipyard with leading-edge expertise and technology. Strategically, RMC specializes in the construction and maintenance of multi-purpose icebreakers, car ferries and naval vessels. Read more at www.rmcfinland.fi. 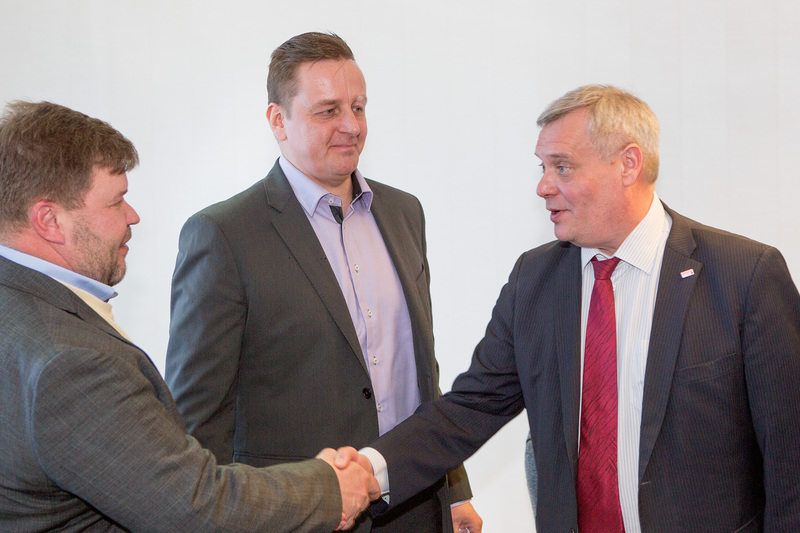 Minister of Finance Mr. Antti Rinne visited Rauma Marine Constructions on April 11th 2015. Minister Rinne emphasized the importance for Finland of retaining the national shipbuilding competence in Finnish hands. Minister of state ownership steering Ms. Sirpa Paatero visited RMC on December 8th, 2014 in order to discuss and explore the possibilities for RMC to participate in the future ice breaker fleet renewal and modernization projects. Her visit was complimented by a visit to ice breaking vessel “Fennica”, currently having her home port in Rauma. Prime Minister of Finland Mr. Alexander Stubb visited Rauma Marine Constructions on October 6th 2014. Prime Minister Stubb encouraged the efforts in building up the Rauma shipbuilding capabilities over again. He also emphasized the importance of finding new and innovative solutions in boosting up the Finnish marine sector.